Middletown Ford purchased Lincoln-Mercury from Cronin Motors. 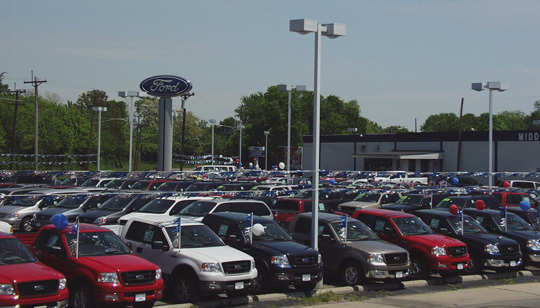 Middletown Ford will be known as Middletown Ford Lincoln-Mercury, and will stay at its current location of 1750 N. Verity Pkwy. The sale took effect Wed, March 29, 2006. Terms of the deal were not disclosed. Cronin Motors will continue to operate with its Jeep franchise at its current location. Pat Cronin is still the owner.